Darling finish from Marianne of Sew Paint It. Marianne does a little bit of everything, sewing, decorating, renovating, painting, you name it. Our kind of lady! We got this submission, and Megan and I both have a soft spot for Sarah Jane fabric. 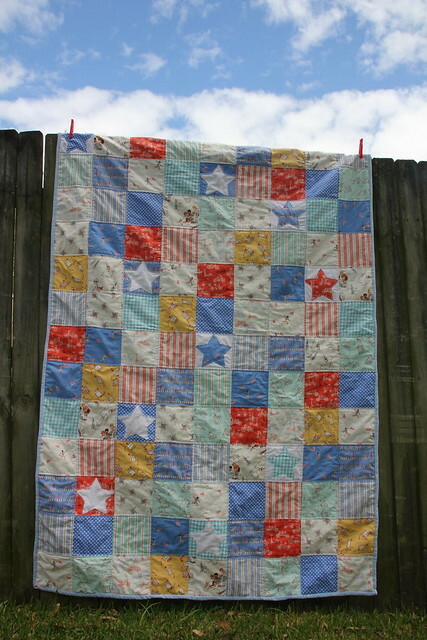 Just looking at this quilt makes me want to go play with my stash. Anyhow, Marianne did a little bit of everything on this quilt, applique, hand stitching, machine quilting etc. We love it all! I finished a quilt! 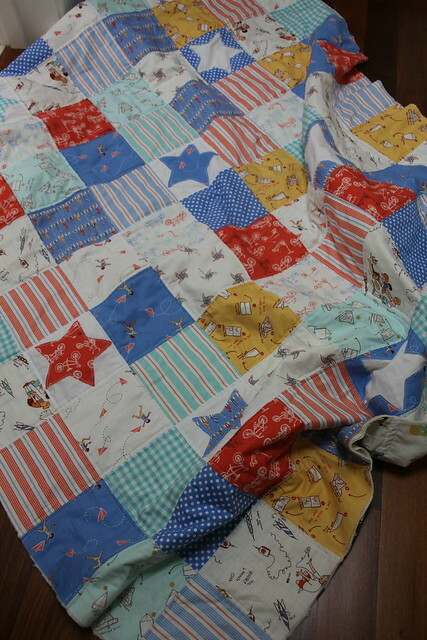 It is my boys quilt using children at play fabric by Sarah Jane and I am really, really, really pleased with it! The backing was a sheet I found and I love it. It is so soft and lovely. Love the design for my little boy too. 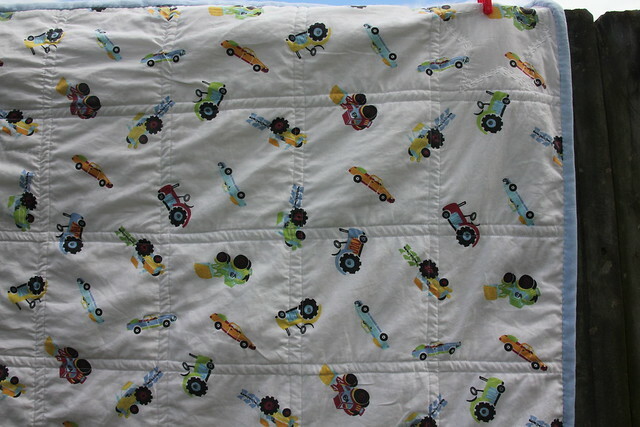 Diggers and tractors - just what little boys like! 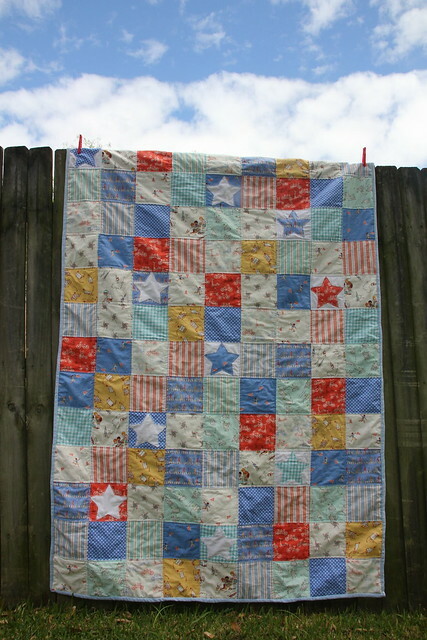 I did machine quilting on this quilt and then hand quilted around the stars. 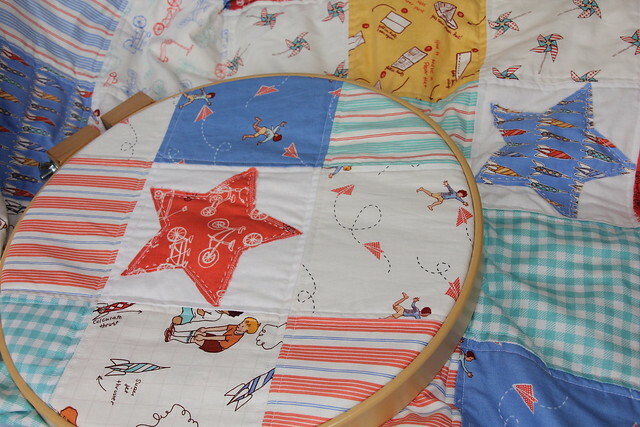 I love hand quilting because it is so soft and specially for someone. It shows you care. The machine quilting is 0.25" from each seam. The binding is also a sheet, a plain blue one which was worn out in areas. It is really soft. I hate doing the corners! I must find some tutorials on doing that better because there is definitely room for improvement there! I love this! Are the stars appliqued? So very sweet. 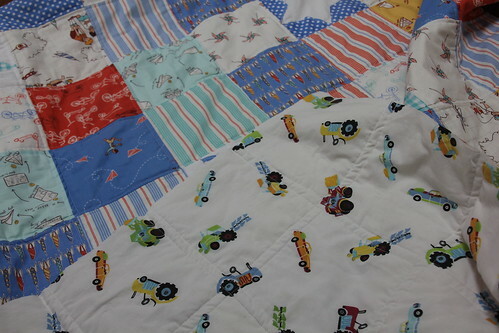 I love Sarah Jane's fabric designs - you turned her darling fabric in to the perfect quilt for your little guy! 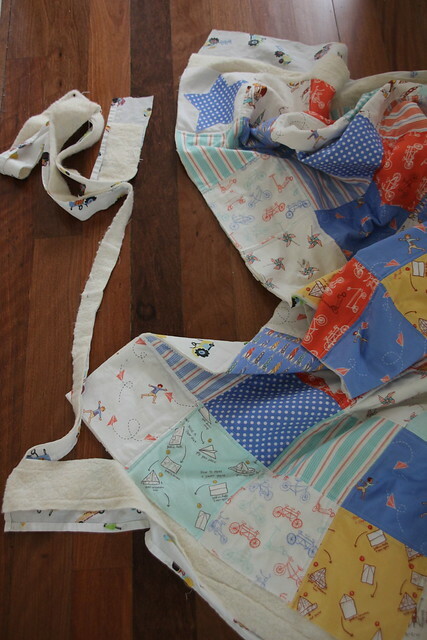 Oh, I love Sarah Jane fabrics...especially Children at play. I just finished helping a friend make one using her fabric yesterday. what a precious quilt! 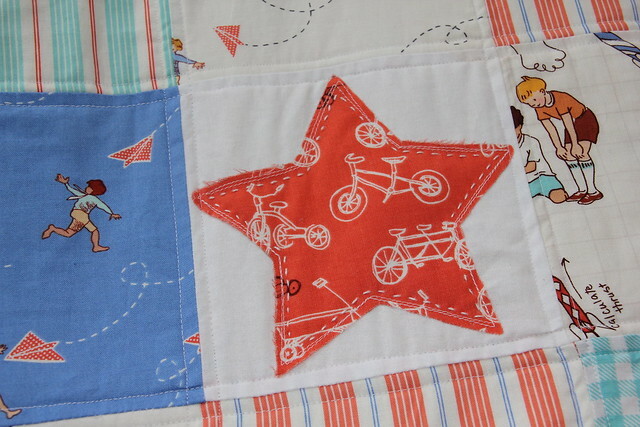 I love the hand quilting around the stars. I think that really sets it apart. Love the stars, and the backing! Cute quilt. Thanks all! 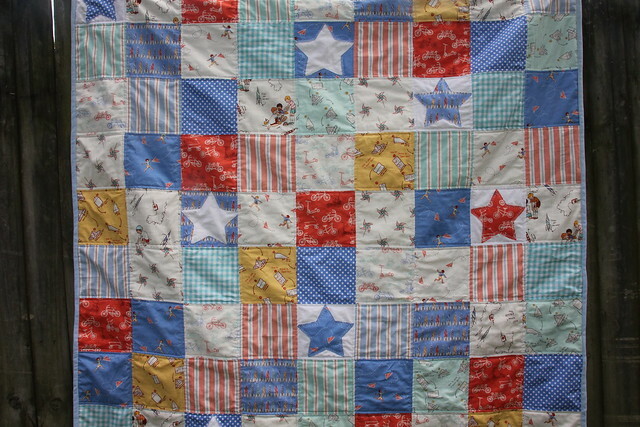 The stars are raw edge appliqued and then I hand quilted onto them. I machine quilted most of it in lines. What a sweet quilt! I love everything about it, it looks so soft. So perfect for a little boy to snuggle.